This post is in response to Weekly Photo Challenge “Transformation “. This is such a powerful word that can’t be expressed in few pics & few lines. Everything in this world is changing, moving, gaining something & leaving something behind. Every moment we are turning into Newer One. Nature casting Its magic spell every now & then. It’s fascinating to watch how tiny seed grown into giant leafy tree & how soft petals turned into juicy fruits. 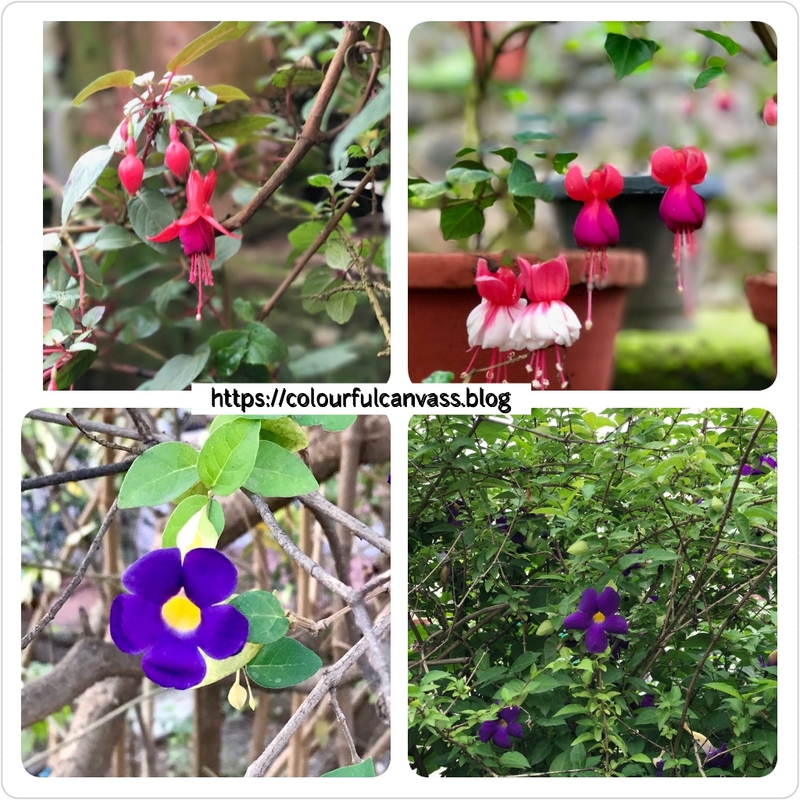 Check out below pics how plants transformed with every season. One leaf turned yellow & ready to leave its branch, that leaf will be food, shelter for someone. Other leaf just grown from dried stem to start new life cycle. And how few showers of rain turned lifeless bush turned into beautiful flowery garden. 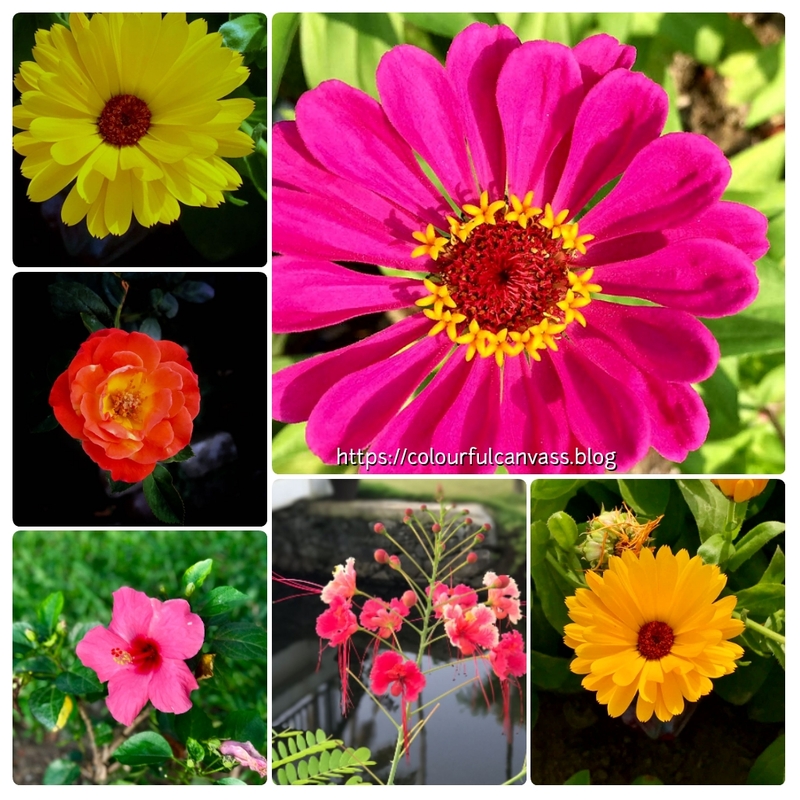 Stages of buds to fresh lovely flower. 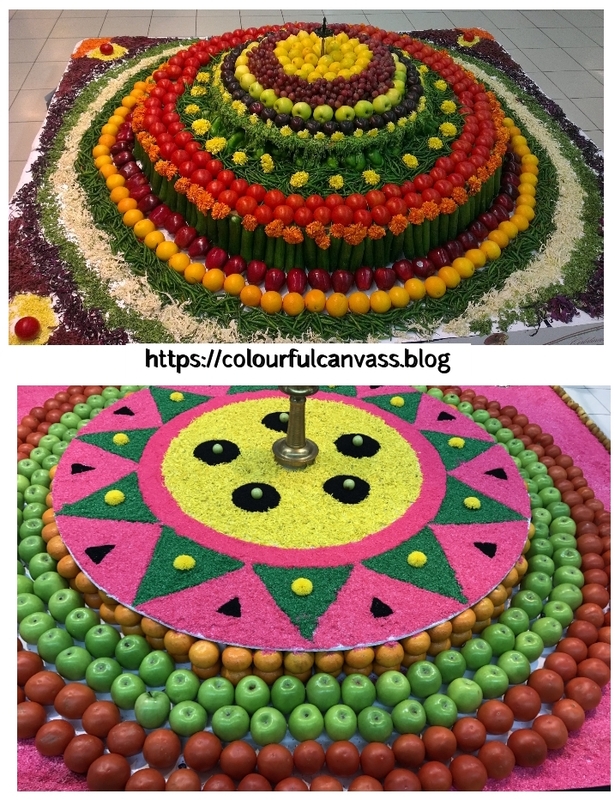 This pics are taken in shopping mall where flowers, fruits & vegetables are used as colours to form unique design. Here these rangolis(dry powdered colours) are transformed into beautiful designs by me during Diwali celebrations. 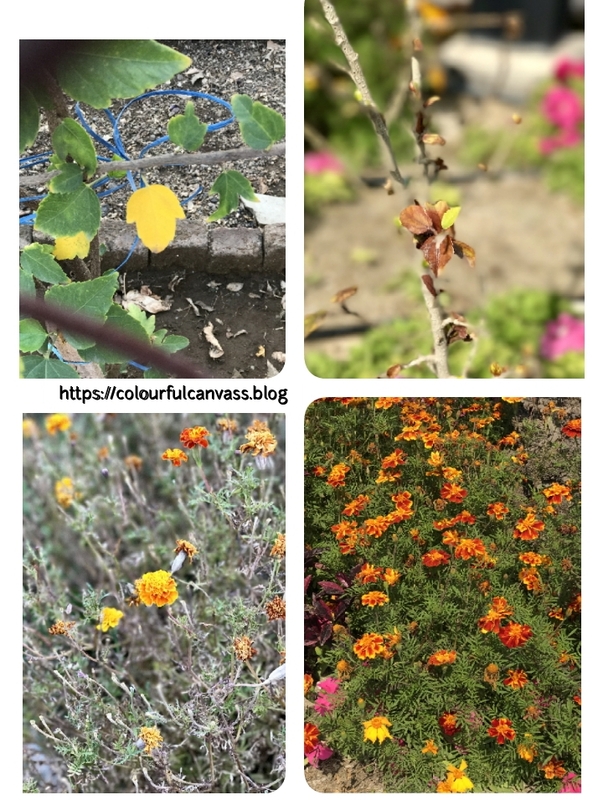 ©2017 Bhavana, Colourfulcanvas, All Rights Reserved. So pleased to know that you liked it. Thanks Kurian for stopping by. Liked your write up and the pictures. Wonderful Bhavana! Thanks Radhika. Your comment always make me happy. Very creative! Beautifully written as well. Wonderful gallery full of colours. Love the way you describe this transformation! So happy you liked this post & pics. Appreciate you stopping by. Thanks dear!… Your words are like music to my ears!